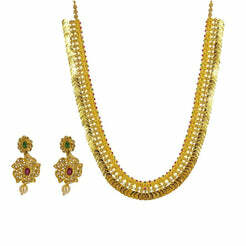 22K Yellow Gold Choker Necklace and Earrings Set W/ Multi Gemstones for women. 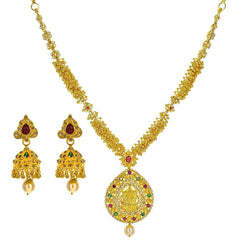 Adorned with kundan, ruby, emerald and south ocean pearl gemstones. Gold weight is 74.2 grams. 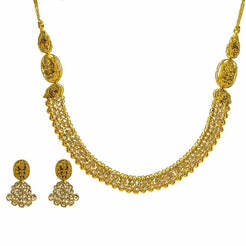 The planner neckband secures around the neck area with a flexible tuft dori.